The innovative and the most effective way to unclog any toilet in JUST ONE MINUTE!! No extra tool required. One sheet for one-time use only. 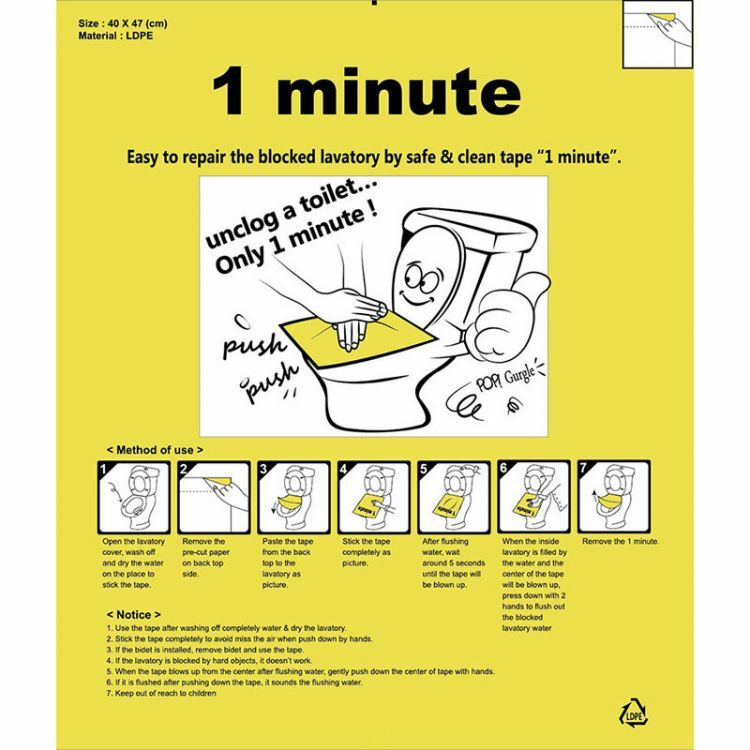 CLEAN FAST - Easy to repair the blocked lavatory by safe & clean tape "1 minute". Can quickly solve the problem of the toilet jams, toilet water won't spill, no smell. Ease and no clean up required. FITS ANY TOILET. - This product size is 400mm*700mm.